Check-in available at the Blackie Chesher Park at Tournament Headquarters (Field 4) for out of town teams 1.5 hr prior to 1st game. Equipos y jugadores tienen que estar inscritos para ser incluidos en un rol de juegos. Coaches will not be allowed to coach without. South Texas Youth Soccer Association (STYSA) hosts a series of Spring Cups each year that are designed to provide a wide variety of competitions to best fit the skill and ability level of each individual team and group of players. 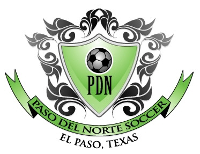 The South Texas Presidents Cup is an open entry competition that is recommended for D1 teams not seeded into State Cup and high level Super 2 Teams. This competition determines South Texas Youth Soccer Association's Presidents Cup Champions in each respective age group (11U-19U). 11U-12U will play 9v9, while 13U-19U will play 11v11. The 13U-18U first place teams will advance to represent South Texas Youth Soccer at the US Youth Soccer Southern Presidents Cup Competition in June. The Southern Presidents Cup Champions in each of these age brackets will compete in the US Youth Soccer National Presidents Cup Tournament in July. Directors Cup is an open entry competition for any teams that are not seeded in Presidents Cup or State Cup. The competition is open to 11U-19U boys and girls teams. The 11U and 12U age group will only have one bracket for 2019. 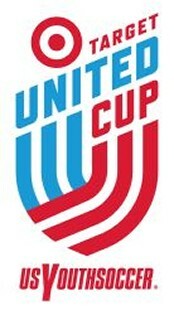 All 11U and 12U teams not seeded into Presidents Cup or State Cup will be eligible to participate. The Directors Cup competition finishes at the State Level. There will be one weekend of District Play (possibly two if needed) and then the State Finals. The South Texas Cup is a developmental level statewide competition restricted to South Texas registered Division II and Division III boys and girls teams in the 11U - 19U age groups, who are not already participating in another Cup competition. For your convenience, here are some of the forms you need to register teams and/or players. Additional forms and useful information are available in the Downloads section. All returning players pictures must be updated . HELP US BY REPORTING TO US AND TO THE PROPER CITY OFFICIALS. 4.9.2. Responsibilities of Coaches, Players and Associations a. Maintain Control of Fans and Sideline. Coaches are required to maintain control of their players and the team’s fans on the sideline. A coach or an assistant coach may be cautioned and / or ejected by a referee for the misconduct of a fan of the team which he / she coaches. We sincerely hope that all of our games can be played in a friendlier atmosphere. Any game stopped due to the behavior of parents/fans will be declared, by the PDN officials, a forfeit against the offending team. Lights at all fields should turn on automatically by sunset. Remember to leave all parks free of litter.